Our patient’s eye care needs are our highest priority. 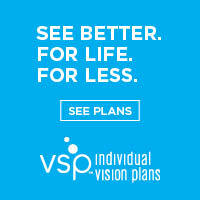 We strive to provide the finest eyewear and lens products available and state-of-the-art instrumentation. We thank you for choosing us for your eye care needs and appreciate your trust. We will strive to meet your needs and welcome open communication to make sure we are meeting your needs﻿. In everything we do, we aim to provide our friends, neighbors, and the surrounding community with valuable eye care and optometric expertise in a setting that is friendly and welcoming.